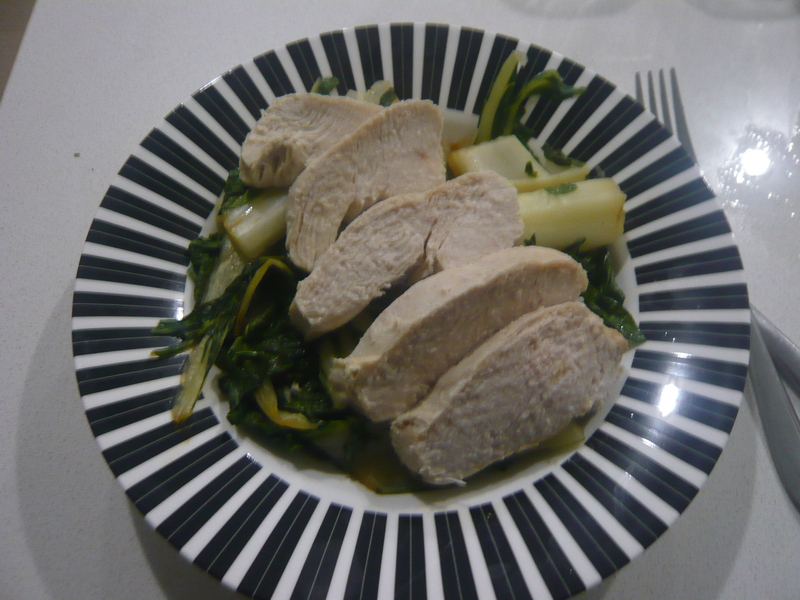 I poached a chicken breast for the first time last night – and it was such a great result I wanted to suggest that if you’re not already poaching chicken, you should consider it. So, put the chicken breast in a saucepan, cover with water. Get a stick of lemongrass, cut off the bulby bottom and a few of the outside leaves, cut into 7cm lengths, bend to bruise. Put in water. Bring to boil. Easy and moist and healthy. And quicker than roasting in an oven bag like I usually do. It’s pictured here with Bok Choy stirfried with penut oil, garlic, ginger and a small amount of soy sauce. Posted in Uncategorized and tagged chicken, healthy. Bookmark the permalink. The weather has turned and its feeling somewhat freezing right now. I need a plan to deal with the ice on my windscreen most mornings. At work we sit with Nana blankets on our laps. The leaves are a mosaic of orange and the crisp air seems to freeze on my lungs when I jog round the lake (something I’d never imagine doing in a more hospitable climate). Mother’s day is almost upon us, and every catalogue reminds us that that means it’s time to buy new slippers. Butternut pumpkins are selling for 99 cents each. Its soup weather. Its one of the great tragedies of my life that I haven’t inherited my mother’s knack for soups. Mum’s one of those people who can make “what’s in the fridge, let’s throw it in the pot” soup that turns out consistently delightful. I was not born with that skill. 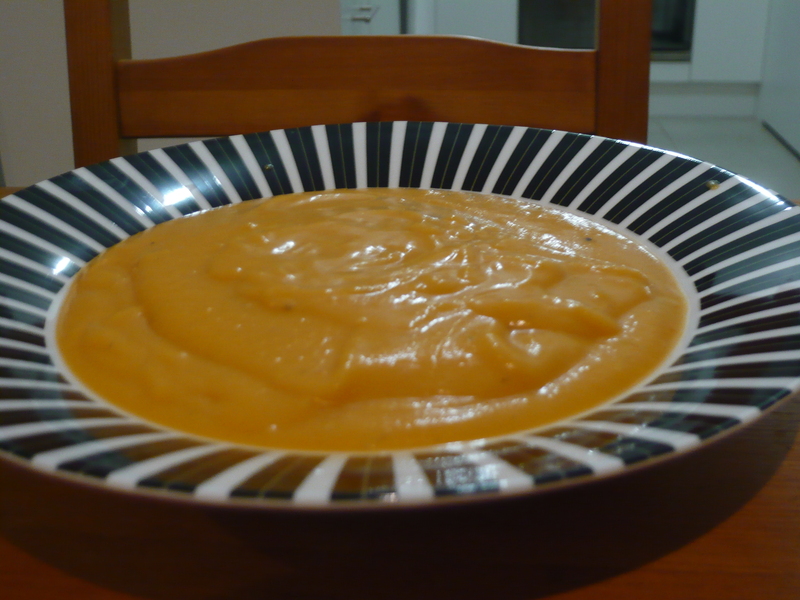 What I have inherited is mum’s pumpkin soup recipe (in so far as she ever uses a recipe). Absolutely nothing is nicer on a chill winter’s day than a snuggling bowl of piping deliciousness. And for me, this soup is like a hug straight from mum. 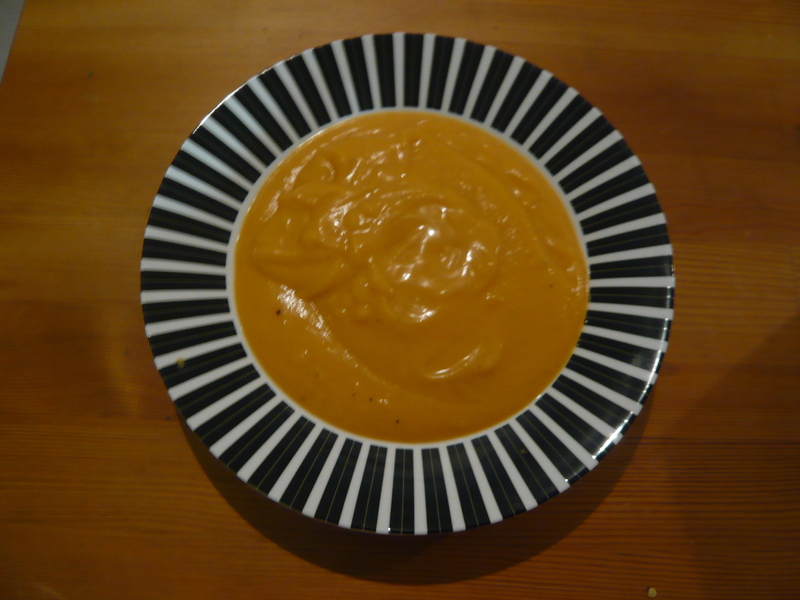 I know everyone thinks their (or their mum’s) pumpkin soup is the best, but my mum’s actually is, I couldn’t stand pumpkin as a kid, and I devoured this soup like it was going out of fashion (the folly of youth, pumpkin soup is never, ever, going to go out of fashion). 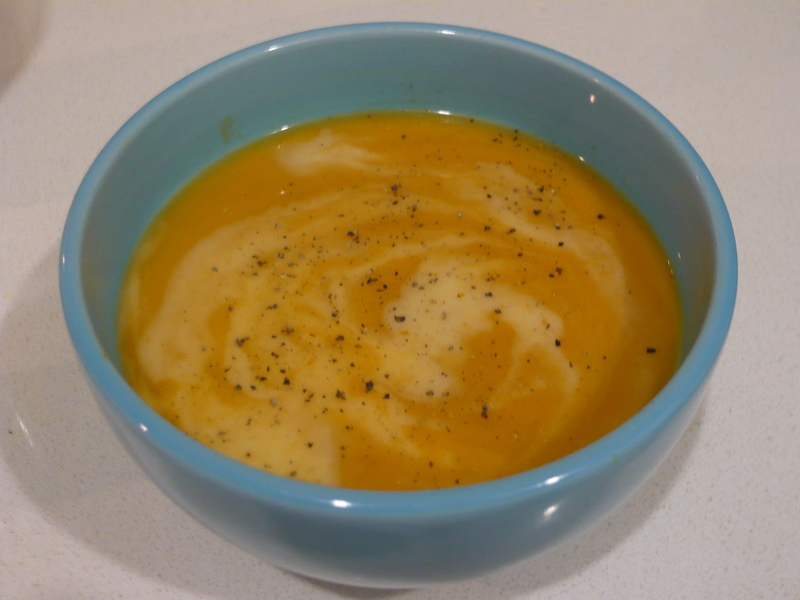 The secret is to use a 3/1 ration of pumpkin to potato – It takes some of the edge off the pumpkin (though this is not so important if you’re using the easier to cut, conveniently sized, on-trend butternut like I do) and more importantly, adds a velvety richness to the texture, moving the soup from the watery fate that seems to befall so many other pumpkin soups. I know I’m not the only one to think this because people used to ask quite pointedly which soup mum had brought whenever we did the “pot luck” soup and sandwich thing in the church hall when I was a kid. 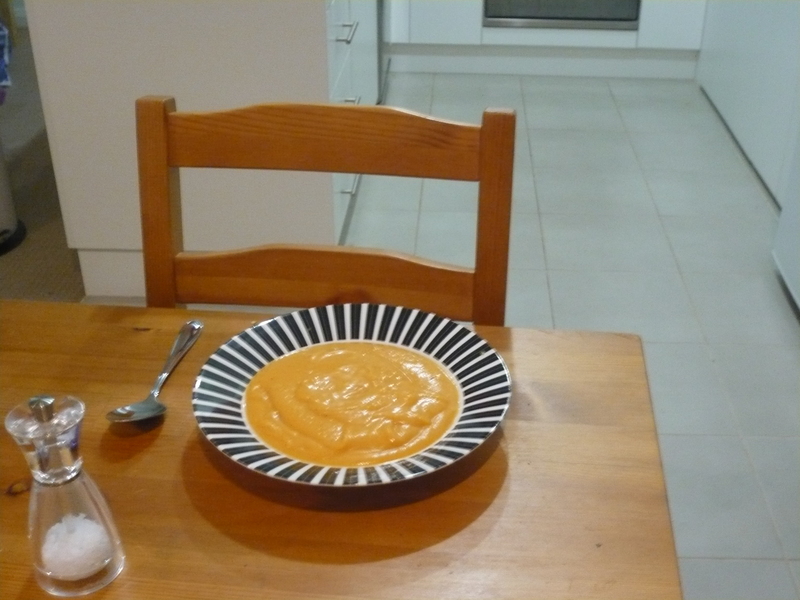 So in honour of Mother’s Day, I share with you my mum’s signature pumpkin soup. 2 cups vegetable or chicken stock. Heat oil in pan on a medium heat, gently sauté onion and garlic in pan until translucent, 3-5 minutes. 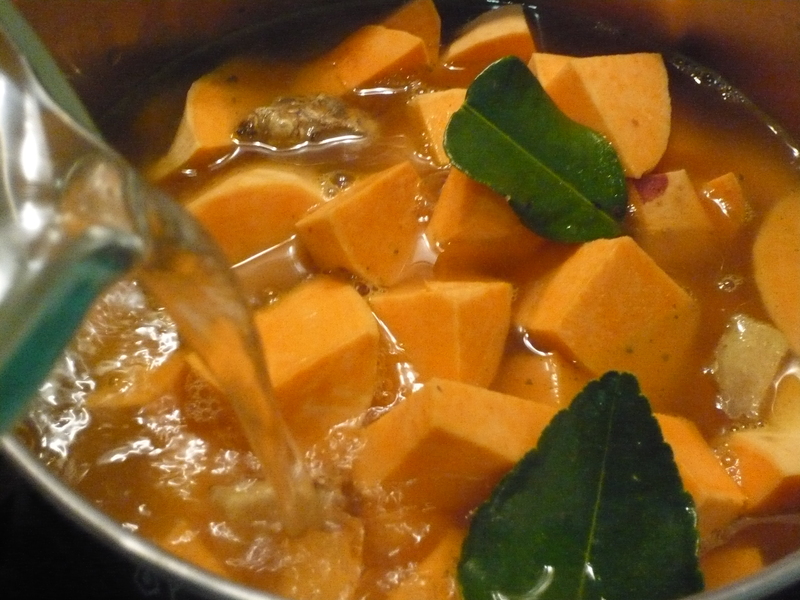 Add pumpkin and potato to pot, stir through onion and heat slightly, pour in stock and add water to just cover the pumpkin. Place lid, slightly ajar to allow the steam out, and bring to the boil. 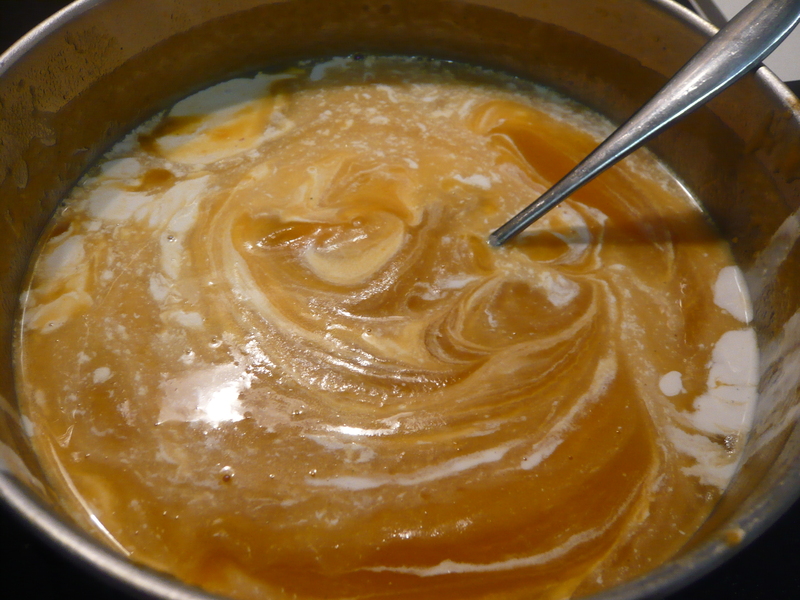 Reduce heat and simmer for 30 minutes, or until pumpkin is mushy and disintegrates to the touch. Use a bar mix to blend soup into a smooth consistency. So, there – its super easy, super yummy, and you should make your mum a pot for mother’s day, proximity and family tradition allowing. Because I’m a brat – I have been known to make a few additions. I love nothing better than a big bowl of soup by itself for lunch. 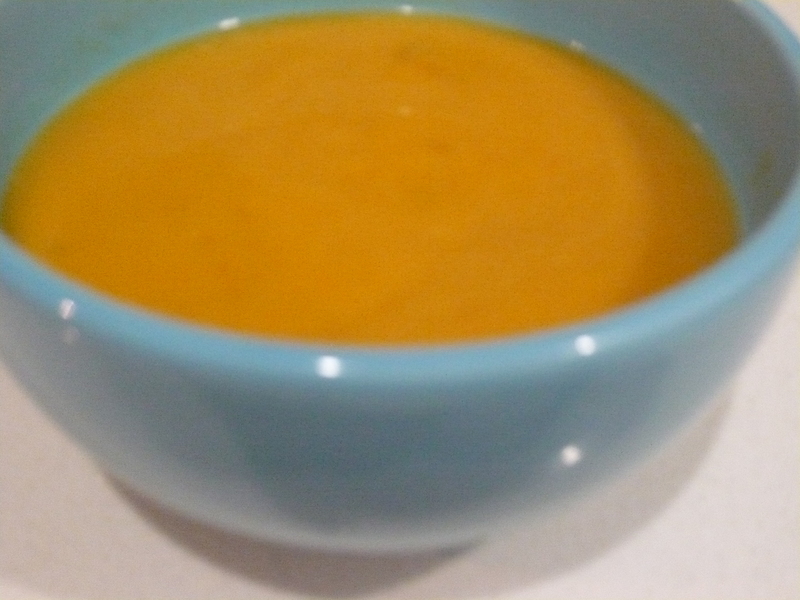 Unfortunately pumpkin soup, while rich in vegetable and carbs, offers no protein. I briefly considered the flavour possibilities of bacon, but it seemed to defeat the purpose. My solution instead is to soak a cup or so of red lentils for a few hours (the ratio will depend on whether you adore red lentils, or like mothers everywhere are trying to slip something healthy or different past the palates of your kids, or yourself). Add the lentils to the last 15 minutes of cooking. 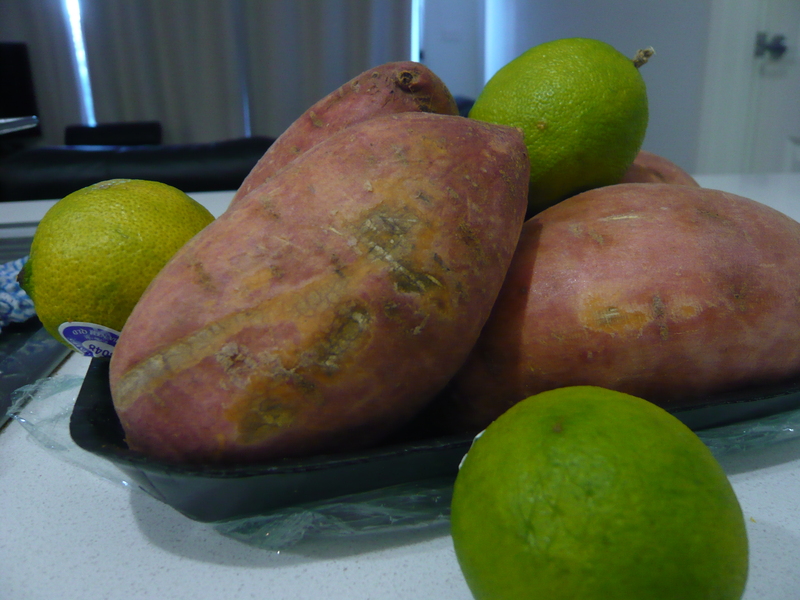 This not only ups the protein and tastes yum, but is particularly helpful in retaining the rich depth of texture I love when substituting potatoes with the improved GI but reduced creaminess of sweet potato. To warm things up even more, add a teaspoon or two to taste of yellow curry paste when sautéing the onions. 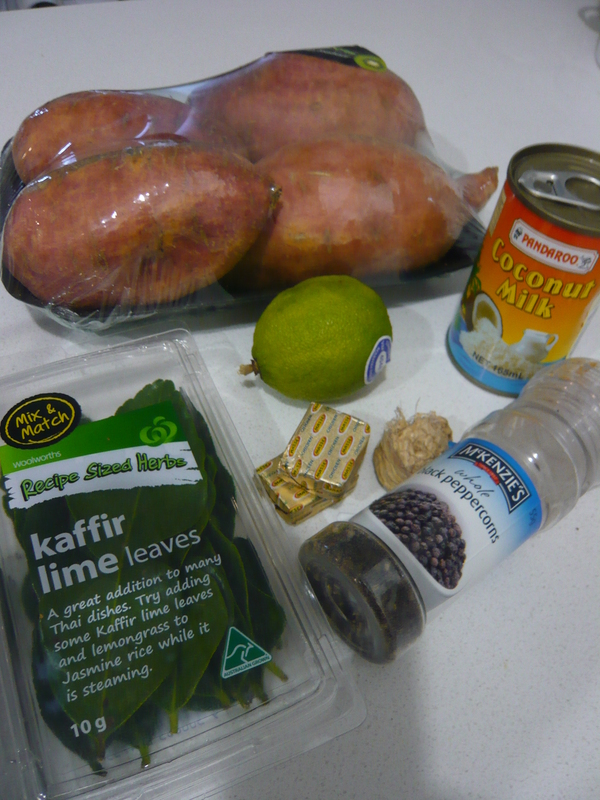 Then, once you’ve blended the soup, swirl in a small tin of coconut cream. I never add cream to my soups generally, partially for health but also because in my experience a good soup doesn’t need it, the flavours will speak for themselves. 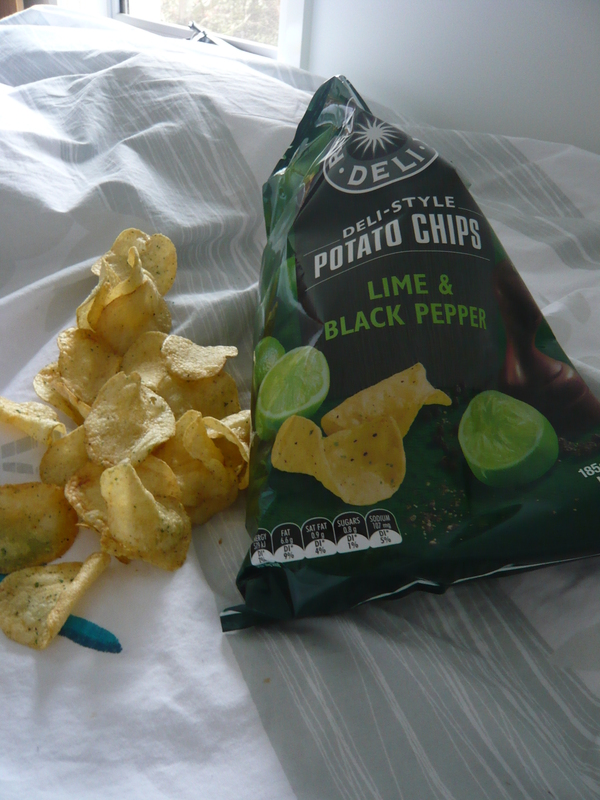 But in this case it adds a delicious, decedent dimension and helps make you feel like you’ve escaped on an exotic getaway. Be warned however that the dimensions of the curry will intensify in the fridge over night – so if you’re planning to live on a pot for a week you might want to be carful not to overwhelm the pumkin. I have a strong memory of having this with chicken noodle soup mix stirred through when I was young and sick – Mum has no recollection of this – but I do find that a handful of spaghetti, broken into 2 cm lengths, added after the blending stage and cooked through by the soups moister during reheating (the slow old fashioned way on the stove, not in a microwave) produces a comforting addition when sick and miserable. When cooking for one you seem to always acquire just under ½ a bunch of celery you have no idea how you’re going to use. Celery and soup have a long and glorious association – and while I’d love to be the type of person to use such a quandary to make my own stock – I’m not. Instead I find that it’s quite effective to add a stalk or two of celery, sliced, after the onions and before the pumpkin. You may or may not notice any difference, depending on the strength of the pumpkin, but I certainly don’t think it hurts, and I like to think it’s a step towards sprucing up store bought stock. 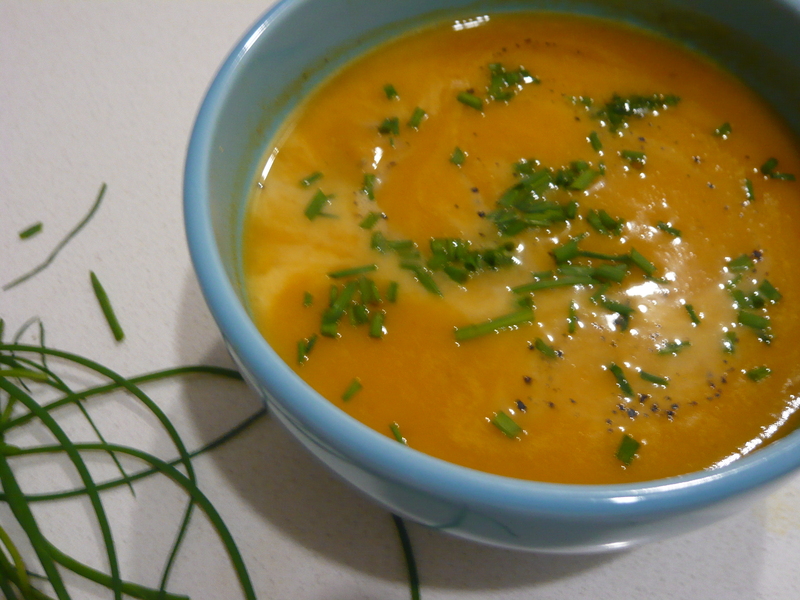 Posted in recipes and tagged budget, healthy, pumpkin, Seasonal Cooking. Bookmark the permalink.